Mumbai, India: Larsen & Toubro Infotech (BSE code: 540005, NSE: LTI), a global technology consulting and digital solutions company, announced its Q1 FY18 results today. “We continue our growth trajectory with a 2% QoQ increase in USD revenues, reflecting the resilience of our portfolio. Digital Services and Infrastructure Management drove Q1 growth and our outlook for the year remains positive. Digital now represents over 29% of our revenues and the client adoption of Mosaic continues to grow. AssuredPartners, a leading independent property and casualty and employee benefits brokerage firm has selected LTI as a strategic transformation partner for a program that is harmonizing infrastructure & migrating workloads of its 170+ agencies across the US, to the cloud. LTI has established a subsidiary in Mexico to expand our geographical footprint. 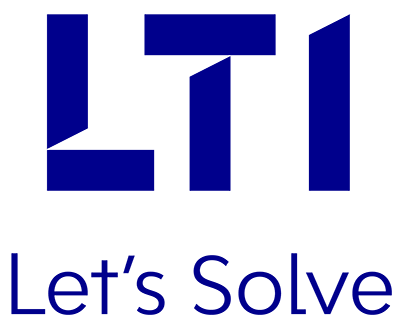 LTI has been elevated as an ‘ELITE’ partner of Microsoft Xamarin. This elevated status will help support LTI’s mobile app development initiatives and strengthen our platforms like Mosaic Experience. LTI joined the Oracle Cloud Platform Managed Partner program. The Oracle Cloud Platform Managed Partner (CPMP) Program recognizes partners with the skills and expertise to build, deploy, run, and manage both Oracle and non-Oracle workloads on Oracle Cloud Platform for PaaS as well as IaaS applications. LTI and Microsoft have entered a strategic partnership to provide Blockchain-as-a-service on Azure. As a member of the Microsoft Blockchain Council, LTI is building ready to deploy Blockchain solutions across industries like finance, insurance and manufacturing. This membership is by invitation only, and will further enhance our solution offerings for Blockchain. *Gartner does not endorse any vendor, product or service depicted in its research publications, and does not advise technology users to select only those vendors with the highest ratings or other designation. Gartner research publications consist of the opinions of Gartner’s research organization and should not be construed as statements of fact. Gartner disclaims all warranties, expressed or implied, with respect to this research, including any warranties of merchantability or fitness for a particular purpose..